UAB Neurologist Dr. Robert Pearlman discusses the new FDA approved drugs that aim to stop migraines before they start and give new hope to migraine sufferers and those who treat them. The FDA has approved new drugs that offer huge hope to migraine sufferers. According to UAB neurologist Dr. Pearlman, this is a beacon of renewed hope for those who suffer with migraines. Dr. Pearlman shares his perspective on the new drugs in an article below, but first, a few key takeaways. For more information, including a support page for patients, visit aimovig.com. How the new drug works: Aimovig (known generically as erenumab) is the first drug of this class to be released. It is a monthly subcutaneous injection which patients administer themselves with pre-filled auto injectors. Results can occur in as soon as a month and have few if any side effects. How much the new drug costs: Amgen/Novartis is helping doctors work with patients to get the best price for the drugs. Advice on getting the drugs at low to no cost can be found here on aimovig.com. Where to get this drug: It is best for a patient to see a neurologist to evaluate the nature of his or her headache and if the drug would be an appropriate option. Since the drug is in the initial stages, a neurologist would be the perfect one to follow the course of treatment and provide all necessary evaluations and procedures. Many thanks to Dr. Pearlman for allowing me to share this exciting and hopeful news on the blog. 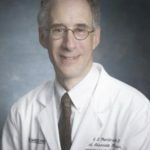 His wife, Dr. Jo Herzog, is one of Family Savvy’s expert contributors on topics of dermatology. A medical revolution for migraine sufferers in on the horizon with new migraine medications (CGRP). The new drugs represent an important milestone in migraine prevention equal to the introduction of other drugs like Imitrex more than two decades ago which were for symptomatic relief. These new drugs are the first migraine specific drugs to become available for migraine prevention. CGRP is short for calcitonin gene-related peptide. CGRP has many functions in the body and is released when someone has a headache. The new drug is designed to interact directly with CGRP and prevent migraines from occurring. In the past, physicians were limited to three classes of medications to treat migraines: anticonvulsants, antidepressants or antihypertensive drugs. Although some of these medications were effective for migraine prevention, the benefits often came with a host of side effects such as confusion, dizziness, fatigue, constipation, and dry mouth. Even Botox for migraine treatment includes at least quarterly physician visits, myriad needle sticks per treatment, and the risk of muscle weakness that could result in a brow or lid droop. In April, the FDA approved Aimovig, known generically as erenumab. It is injected subcutaneously (under the skin) once a month by the patient from a prepackaged autoinjector. Current studies have shown these new classes of medications to be remarkably free of objectionable side effects while being very effective for migraine prevention. While these medicines have been extensively tested, other less common side effects might occur once a large number of headache patients have tried these drugs. My clinical observations: We should view these new drugs as a valuable resource to the headache clinician and as a godsend to migraine sufferers. I have begun to cautiously use the first of these medications in my own practice. A number of my patients who had been previously unresponsive to migraine preventative medications are now finding relief with the new medications. Looking Ahead: Two new CGRP medications may be released next month and yet another one next year. In the future pharmaceutical manufacturers may develop a safe oral form of this type of drug which has the potential to be used for both prevention and the acute treatment of migraine. It is an exciting time to practice headache medicine. 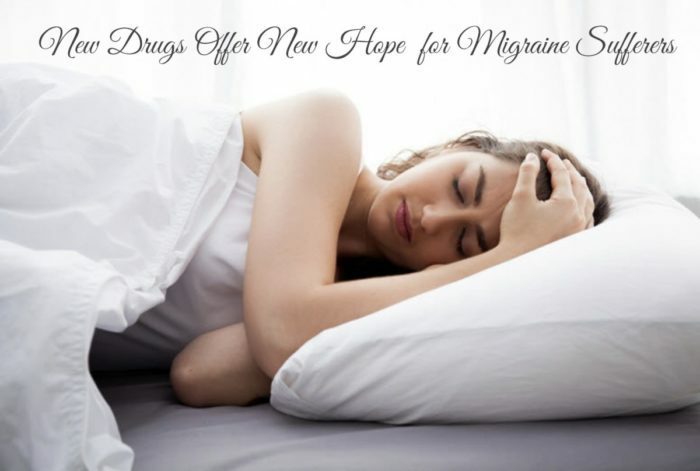 I am looking forward to the release of these new drugs to help patients who have long suffered in silence the wrath of their migraine headaches.